"Lovely” is the first single to be released from Eilish’s debut album. It premiered in Zane Lowe’s World Record feature on Apple Music’s Beats 1 radio station on April 19th 2018. 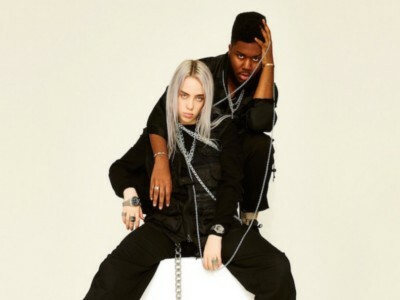 The track was produced by Eilish’s brother FINNEAS, who was with Billie Eilish and Khalid when writing the song. The lyrics of the track focus on the duo’s attempt to overcome depression. Eilish told Lowe: "We called it (lovely) because the song was sort of really freaking depressing so then it’s like oh, how lovely. Just taking everything horrible like you know what this is great. I’m so happy being miserable".